Baccarat starts by placing a bets on either the Banker's or Player's hand. Two cards are dealt to each hand. The first hand represents those betting on the Player, the second betting on the Banker. A third card may be dealt to either hand according to the rules given below. The winning hand is the one with the total value closest to 9. Bets are paid even money but a 5% commission is charged on winning Banker bets. There are three betting options in Baccarat: betting on the Player's Hand, betting on the Banker's Hand, betting on a Tie. Betting on the player's hand: By placing your bet on player’s hand, you win the bet, if the player hand has a total card value higher than the dealer's. Also no commission is charged and the house edge for this bet is 1.29%. Betting on the banker's hand: By placing your bet on banker’s hand, you win the bet, if the banker hand has a total card value higher than the player's hand. But you are charged 5% commission on the amount won. The house advantage in this bet is 1.01%. Betting on a tie: By placing your bet on a tie, you win if there is a tie between the banker and the player, i.e. both have a same card value. A bet on a Tie pays 8 to 1 without any commission fee. It has the highest house advantage of 15.75%. To start the game, the players bet either on the banker or the player or a tie between the two. The objective of the game is to bet on the hand that you think will have the highest total value. A third card may be dealt to either or both the player and the banker according to the following three-card-rules. If either the player or the banker has a total of 8 or 9 on the initial two cards, then no more cards are drawn. If the player's first two cards total 6 or more, then the player must stand without drawing a card. If the player's first two cards total 5 or less, the player must draw the third card. If the bank's total card value is less than or equals 2, the bank draws a third card. If the bank's total is 3, the bank draws a third card if player’s third card is not an 8. If the bank's total is 4, the bank draws a third card if the player's third card is not a 0, 1, 8 or 9. If the bank’s total is 5, the bank draws a third card if the player third card is a 4, 5, 6 or 7. If the bank’s total is 6, the bank draws a third card if the player’s third card is a 6 or 7. And finally the bank stands if its total is 7 or higher. 1. Know the game: before playing for real money, practice some free games in order to understand the rules of the game properly. 2. Number of decks: Choose the game with lesser number of decks possible. Lesser decks mean a bigger player edge. 3. Lower Banker Commission: Choose the casino which charges a commission on banker bets lower than 5%. 4. Bet on Banker: Always try to bet on the banker as it has the lowest house advantage. 5. Money Management: Manage your bankroll and play for that amount only that you can afford to lose. 6. Avoid baccarat betting systems: Try not to use baccarat betting systems. Don’t take your gaming decisions based on previous bets as baccarat is a game of chance. 7. Never bet on a tie: Avoid betting on a tie as they are considered the worst bets due to their highest house advantage. 8. Don’t be greedy: Play the game for fun. Relax and try to enjoy the game. Its not only about losing or winning the game. 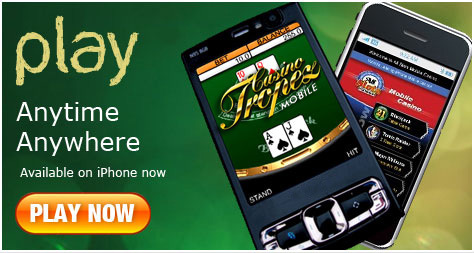 Bonus: 100% Up To $200 Casinno Tropez.com offering baccarat game with sign up Bonus upto $200. Play and win baccarat.